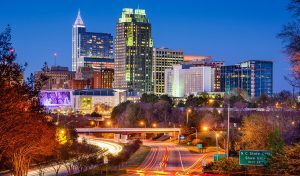 The Raleigh Improv is an ideal setting for corporate events, wedding receptions, business meetings, fundraisers and more. The venue can comfortably seat hundreds of patrons with plenty of available parking. The club is able to facilitate a wide variety of presentations as well as support both live music and DJs. If you have a party of 5 or more people, please contact our booking staff at events.raleigh@improv.com. If you have a particular show in mind, make sure to note the performer or show name, date, and time of the performance.